WASHINGTON (AP) — President Donald Trump announced Saturday that he wants a battle-hardened commander who oversaw troops in Iraq and Afghanistan to be the nation’s next top military adviser. Sen. Lindsey Graham, R-S.C., a member of the Senate Armed Services Committee, said in a statement that Milley was “a battle-tested commander and Pentagon reformer who will be a worthy successor” to Dunford. That committee would consider a Joint Chiefs nomination. 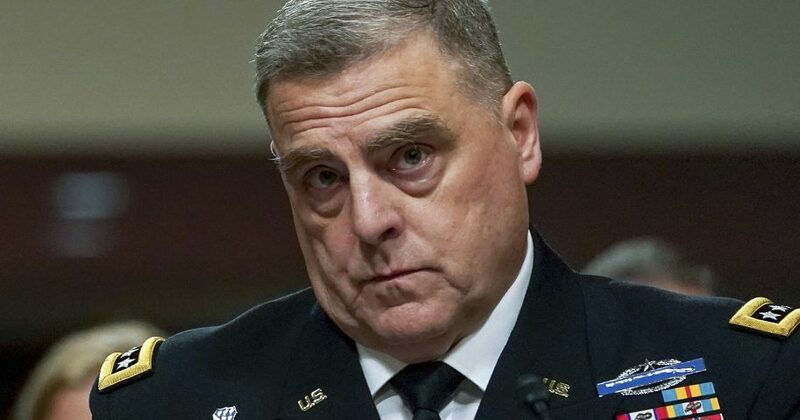 The chairman of the House Armed Services Committee praised Milley for his “direct, insightful military assessments based upon his intellect and years of experience.” Rep. Mac Thornberry, R-Texas, also noted that the Joint Chiefs chairman serves Congress as well as the president and defense secretary. Trump’s decision, announced before leaving Washington for the annual Army-Navy football game in Philadelphia, had caught some in the Pentagon by surprise when unofficial word spread Friday after he had tweeted that a succession announcement was coming. Normally an announcement on a new chairman wouldn’t be expected until early next year. Officials had said the Air Force chief, Gen. David Goldfein, was also a strong contender for the job. Milley is known as a charismatic, outgoing leader who has not been afraid to offer candid and sometimes blunt assessments to Congress. Last year he admonished the House Armed Services Committee for its inability to approve a defense budget, slamming it as “professional malpractice.” In 2016, he told lawmakers, in answer to a direct question, that women should also have to register for the draft now that they are allowed to serve in all combat jobs.